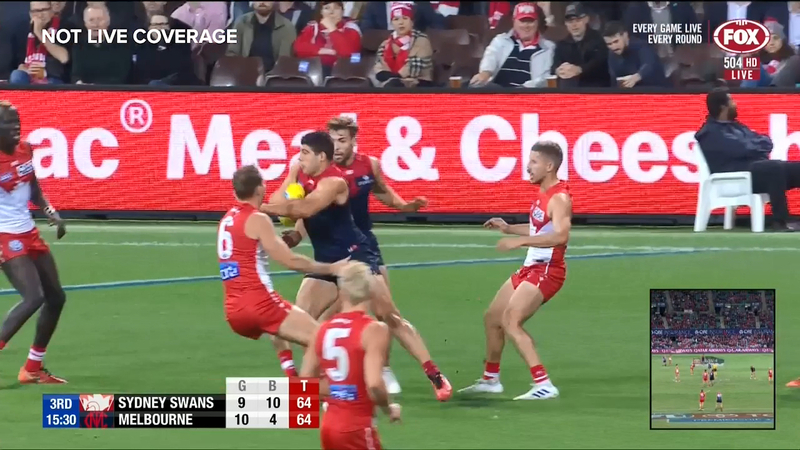 The Swans are under-fire after starting the season with just one win from four matches and according to two AFL greats it's time that they get a big lift from new captain Luke Parker. The star midfielder, who finished second in the Brownlow Medal votes in 2016, was elevated to the co-captaincy alongside three-time All-Australian Josh Kennedy and defender Dane Rampe in the off-season but the three leaders are yet to stamp their mark on a side that's had an uncharacteristically flat start to the year. At 26 and with 172 AFL games under his belt, Parker should be coming into his prime and has the potential to establish himself as one of the truly elite players in the game. However, averaging just 22 disposals and with one goal from his four outings, Parker has started the season well below his best, with Tim Watson saying he's had "no impact" in any of the Swans' games so far this season, while Kennedy was also criticised for his performance in Sydney's 22-point loss to the Demons last night. “John Longmire talked about their midfield last night and I thought that’s where they got completely outplayed,” he said on SEN Breakfast. “The guys that have been their mainstays, (Josh) Kennedy, I don’t think he had any impact on the game. “Parker’s had no impact on any game I’ve seen him play this year at all. “We spoke to John Longmire at the beginning of this season and he talked about the players that they are developing and that type of thing. Former Melbourne skipper Garry Lyon echoed Watson's concerns and was particularly pointed with his criticism of Parker. He said it could have been worse for the Swans if not for a big game - 25 possessions and two goals - from 20-year-old Oliver Florent. “He’s struggled this year, Parker,” Lyon confirmed. “The biggest tick was Ollie Florent. Florent’s first half particularly was just outstanding. So if he can take that step of going into the middle, which he looks imminently capable of doing, then they’ve found another one. “But they need a lift from Parker. “He has been the heart and soul, he has been the one that’s been a big ball winner but also able to go forward and kick goals.